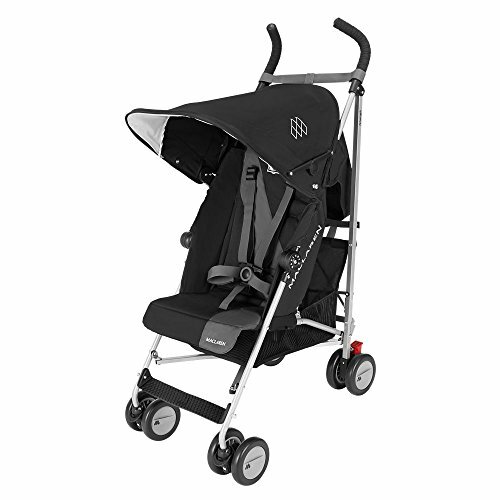 The extremely compact Maclaren Triumph umbrella stroller is one of the favorites among parents who seek a reclining seat and want a compact option. Many parents who wish to have a lightweight stroller must sacrifice a reclining feature. 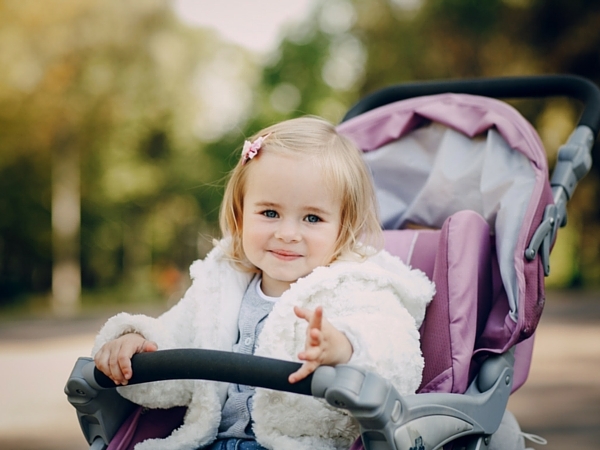 This can cause issues as most people wish to use a lightweight stroller with kids that still need to nap. The Triumph solves this issue, by having a multi-position recline feature with a 5-point harness. It’s jam packed with great features, allowing you to easily take it with you wherever you go. The new version, released in 2016, is even better than before. The Maclaren Triumph is very lightweight, weighing only 10.8 lbs. This makes it easy to carry around from one place to the next. It also has a compact design both when folded and when in use. You can easily move around with this stroller, whether it be navigating your way through a store aisle or traveling around a crowded city. 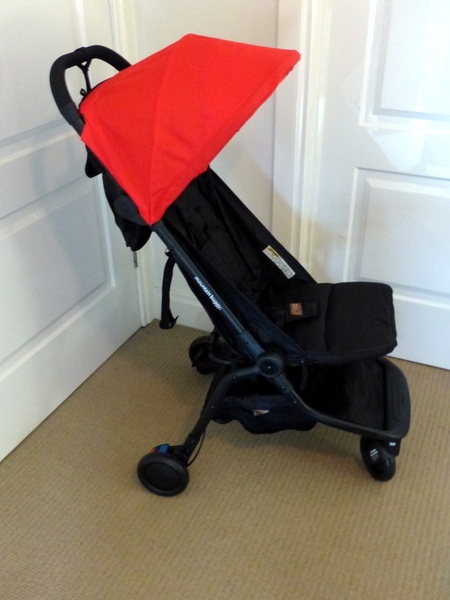 It is suitable from 6 months old to children up to 55 lbs. It has a multi-position recline feature, making it easy to allow your child to sit upright or lay down. The main selling point of this stroller is how small and compact it is, making folding it up a breeze. Because of the size, you can easily store it anywhere. This stroller is extremely safe, with linked parking brakes. All you have to do is step down one at a time to engage the brakes in order to get the Maclaren Triumph to stay still. The five point harness is an attractive safety feature, with a woven two-color contrast in more recent models. It is also height adjustable to ensure maximum comfort to your growing child. All you have to do is use two fingers and press the back and front to release the buckle. This may take some practice and requires a bit of patience in the beginning, but it ensures the ultimate safety of your child. Taller parents will enjoy the comfortable and ergonomic foam handles of this Maclaren Stroller because you don’t have to lean down. You also don’t have to worry about kicking the stroller as you walk, since the handles are adjustable. There is also a stroller basket underneath, which is large enough to take your belongings with you while you’re on the go. The only downfall of the basket is that it’s not large enough to carry a diaper bag and, when the stroller is fully reclined, it’s difficult to reach inside. A rain cover is also included with this one, so you never have to fear getting caught in the rain without protection. The canopy also provides protection against the sun, so your baby can be shaded even on the hottest day. If you want a versatile stroller that is lightweight and easy to move around, then the Maclaren Triumph is a good choice. Overall, it’s a sturdy, quality choice for an umbrella stroller, and it’s features make it one of the favorites among parents. Undecided? 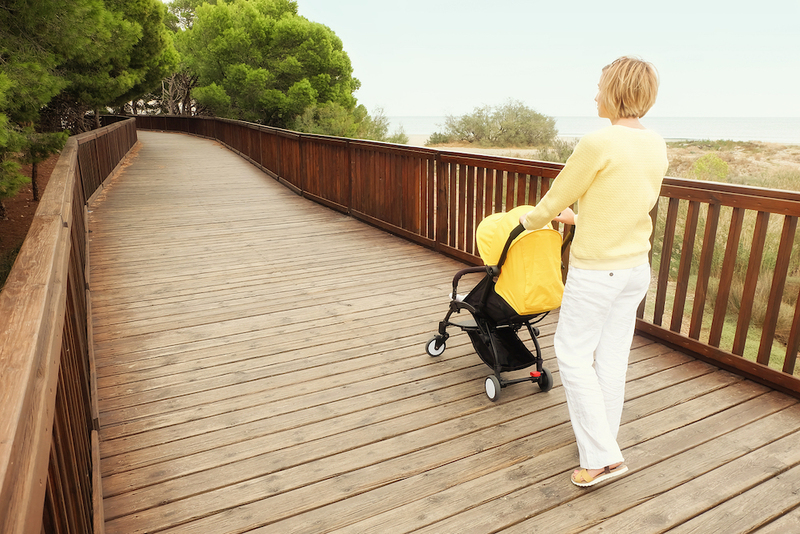 Check out our ultimate buying guide to lightweight strollers.